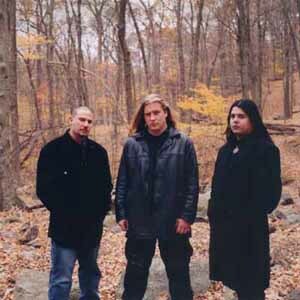 Formed in 1990 by songwriter Paul Zavaleta Guitar/Vocals, the main vision then and now is to play Death Metal in it's true form. Dark, without limitations and maintaining raw undiluted heaviness. Influenced by early Metal Pioneers - Venom, Hellhammer/ Celtic Frost, Sodom, Bathory, Death, Possessed. The late 80's and early 90's brought DETERIOROT new influences of Obituary, Autopsy, Carcass, Bolt Thrower, Entombed, Paradise Lost and Abhorrence (Finland). DETERIOROT is a blend of all these influences and has always been able to structure compositions in a classic formula that transcends all subgenres of Death Metal. DETERIOROT built a cult following beginning in 1991with countless shows with legendary acts as Obituary, Entombed, Cannibal Corpse, Incantation, Immolation, Agnostic Front by 1993 booked as the Headliner and no longer the opening act in most major clubs in NJ and NYC. Already having released 2 successful releases "Demo 92" and a 7"EP with Drowned Productions entitled "Manifested Apparitions of Unholy Spirits" - by this point Drowned signed the band to a 3 album deal with the 1st full length album "In Ancient Beliefs" to come out in 1994 but the label closed it's doors before the album could be recorded and it was not until 6 years later the band would then sign to Repulse Records and record the long awaited "In Ancient Beliefs". The debut album was released in the USA through WWIII Records on October 2001 sold nationwide through all major music stores and was quite successful. In 2003 it was released in Europe by Blackend Records. Again, 6 years later and DETERIOROT is now signed to Xtreem Music and will release it's darkest and heaviest release to date entitled "The Faithless". Set for release in June 2010, "The Faithless" takes you on a dark journey and haunting nightmare which will captivate all fans from beginning to end.